When pulling up to the hotel the first sight you see is the concrete steps leading up to the entrance of the hotel with different plants and greenery lining the entrance. A valet opened my car door and greeted me with a smile and offered to take my bags to the check in desk located in the grand lobby. When walking up to the entrance of the hotel I was astonished by the architectural design which was done by the firm INC Architecture. The building is covered in glass with large windows from top to bottom. The entrance of the hotel has tall wooden beams leading to the automatic opening doors. When you arrive at the hotel there is a passageway that leads you straight to the back of the hotel which is facing the water and offers fantastic views of the Manhattan skyline. The passageway walls are made out of wood panels on the ceiling and a 1 Hotel logo cut out on the top. Walking up to the automatic doors of the hotel you have the option of either walking up the steps which have lights that illuminate the streets of Brooklyn at night, or you can take the wheelchair accessible path which is lined with a rustic iron banister that follows you along the way. The architects put a lot of thought and detail into the design of the entrance to the hotel. The person that greeted me earlier by my car, then took me around and gave me a tour of the lobby. I was shown the amazing and unique theme and decor that the hotel has chosen for their Brooklyn property. The lobby of the hotel was made up of one large room. One of the walls was made out of the large floor to ceiling windows with large curtains to block out the sun if needed during the day. On the other side was a “living wall” that was constructed of concrete and covered with a wide variety of different greenery. The wall was illuminated by spotlights suspended from the ceiling. The lobby was actually a split level area with large comfortable wooden furniture. Fur-carpets where randomly placed around the seating area and an array of architecture books adorned the tables. Different sized dimly lit ceiling and table lamps, plants and rocks added a warm, cozy and natural feeling to the hotel. To add to the effect calming music was played throughout the day and night. Two restaurants, one called The Osprey and a cafe called Neighbors Café were located on the different ends of the lobby, The cafe was near the entrance of the hotel and the restaurant was located next to the array of elevators. The lobby was maintained to perfection, the cleanliness was evident. I was truly taken away by the design of the lobby. When walking towards the elevators to go up to my guest room, I was surprised to see a wooden table with all different types of fresh fruits overflowing from wooden crates and baskets for the guests to enjoy. It looked like a mini farmers market. I asked a staff member about the fruit on the table and he told me that the hotel receives fresh fruits grown in the local area delivered daily. There will not be a day where you will see the same fruit that you saw the day before. There are a total of five elevators, two of the which go up to the 12th floor where the Brooklyn Heights Social Club is. These two elevators are express so it only goes to the floor of the bar and does not stop at any guest floors. When waiting for the elevator the gentleman told me that the hotel has a 24-hour guard standing by the elevators to make sure no one sneaks into the guest elevators when waiting for the express elevators. Once the elevator arrived I stepped into the elevator that looked like the inside of a shipping crate, the lights were dimmed and you had to press your key card to the card reader to access the floor where your guest room was located. As we approached my floor I began to get excited at the prospect of first seeing my guest room. My room was a small one compared to the suites, but its open design made it feel spacious. All Dumbo Double rooms are 308 SQ Feet. The room had two double beds, a full bathroom, closet, work desk, couch, flat screen television, mini bar, coffee machine, and a filtered water station. The sheets on the beds were 100% cotton and were very soft and comfortable and kept me cool throughout the night. The beds had rugged leather headboards that spread across from one bed to the other. In between the two double beds was a wooden night table with two reading lamps that was attached to the wall. The Ipad that controls to the room was located on the night table connected to its charging station. The open slatted wooden closet had plenty of room to accommodate all the clothing that I had brought along for my stay. Inside of the closet was a section where the mini bar was located, it contained luxury drinks and alcohol for purchase. The couch was a bit small but was a comfortable place to relax and take in the views of Brooklyn from the floor to ceiling window. Above the couch was a net where you can keep your empty luggage so it does not get in your way. The room had wooden floors and plenty of lights. Lights were even installed under the closet as a night light so you can move around the room without bumping into the furniture at night. The lights in the room had multiple settings allowing each individual light to be set at full brightness or to be dimmed for a more relaxing atmosphere. Next to the door was a water faucet enabling the guest to have unlimited filtered water during their stay. Although overall I found my room to be spectacular, in my opinion there was one major flaw the room had and that was the design and layout of the bathroom. Unlike most hotels where the bathroom is an entirely closed off room, my bathroom was not. The toilet and shower were in separate stall like rooms. I found that to be a plus as each one can be used at the same time by two different people. What I did not like was the fact that the doors were made of frosted glass, allowing anyone in the room to see the outline of the person in the stall conducting their business. Aside from that the shower stall was beautiful with a rainfall showerhead. Directly outside of the two stalls was a marble vanity and sink. The plant motif found throughout the hotel was evident in the room as well. At one end of the vanity was a section with grass, moss and other plant life. The room was supplied with everything you needed from lush soaps to robes and towels. Since the bathroom area was open to the rest of the room you really did not have much privacy, if you are traveling with a child or even your friend you can see everything. I think it was a bad call to open the bathroom up as it leaves no space in the room for privacy. If two friends were traveling together there is no place to change without being in full view of each other. The only good thing about the bathroom design is that it gives the appearance of a much larger room. Personally, I would rather have my privacy than a larger looking room. All in all though, the room was very clean and cozy. Once I left my room I decided to go take a look at the amenities the hotel had to offer. My first stop was the rooftop plunge pool. The plunge pool is one of the main reasons people choose to stay at the 1 Hotel, aside from its unobstructed views of lower Manhatten. Once I got to the roof I walked down the hallway and presented my wooden key to the reader and the door popped open. When I saw a glimpse of the skyline my heart dropped. The view can take your breath away. The angle of the pool faces the skyline, Brooklyn Bridge, and Statue of Liberty. The pool area was not large, it was a small area with wooden steps along the sun deck with multiple lounge chairs spread out around the area. The pool was an infinity plunge pool so you felt like you were on the edge of the building when you stepped in. The pool was not designed for swimming, and it was only three feet deep. After I saw the pool I walked over to the other side of the roof where the hotel had a great view of the Brooklyn Bridge and a bar with reserved seating. The bar was a delight with multiple drink options, I did not have a drink but from what I saw people drinking it looked really good. After I walked the rooftop I headed downstairs to the second floor where the fitness center was located. The fitness center was called “The Field House”. The Field House was located right above the entrance of the hotel, the room was large with floor to ceiling windows that spread around the whole room. The gym had all the latest work out equipment to keep you going when your away from home. Towels were available for guests to use as well as water, the water was in a wooden mini water tower with recyclable cups. Once I tried the fitness center I took a walk over to the Neighbors Café in the lobby. The Cafe offered a wide variety of coffees, teas, and other specialty drinks as well as desserts and fruit. The atomizer was very warm and welcoming it fit the style of the 1 Hotel design. I did not have time to experience The Osprey restaurant and spa in the hotel. The 1 Hotel truly is a wonderful hotel to stay in. The staff is caring and will help you to the best of their ability. The amenities are hard to beat with the location the hotel is in. You won’t find better views of the Brooklyn Bridge and Manhatten skyline anywhere else. The rooms are very modern with a lot of cool features, even with the design of the bathroom the room was built well. The Lobby of the hotel makes you feel like you are in a jungle with the array of seating and very comfy pillows and carpets you won’t want to leave the warm home feeling of the 1 hotel lobby. The 1 hotel has set the mark for the hospitality world with its eco-friendly mindset. This hotel and brand will change the way you stay in hotels and live in this world. Did you like this post? If so, then follow me on my adventures to different hotels around the world, read my posts, reviews, thoughts, and ideas that revolve around the hotel world. Read about the most intresting and recent news about what is happening in the hotel world in the news section of my blog. Visit http://www.thehotelfanatic.com and follow me on me on Instagram, Twitter, and Facebook pages. Seth’s passion is the heart and soul behind The Hotel Fanatic Blog. 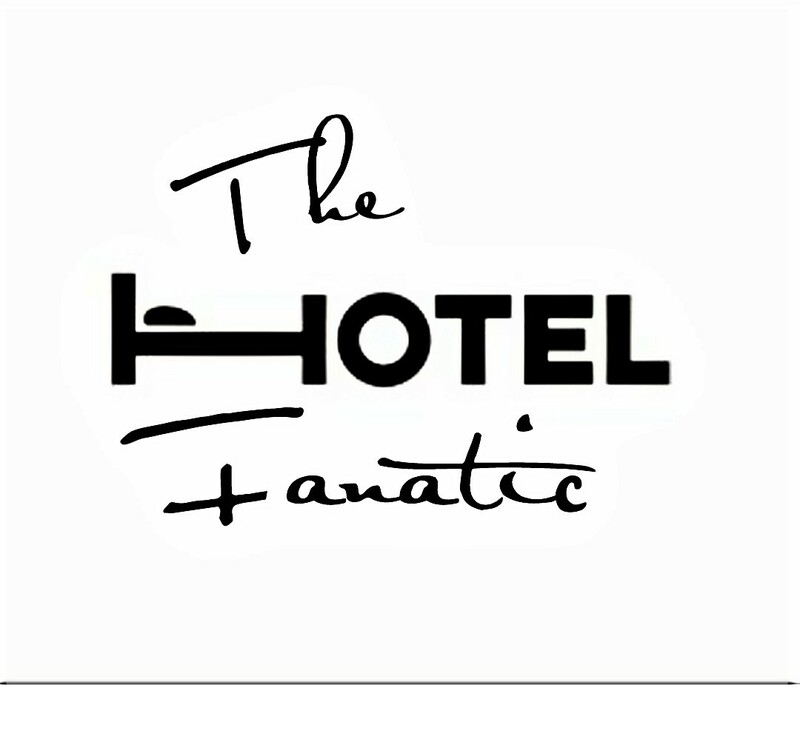 The Hotel Fanatic is about his thoughts, ideas, and reviews with regards to the hotels he visits or desires to visit, as well as anything hotel related. Seth has always had a passion for hotels, so he decided to start a blog in order to share his passion with the world. Every aspect of hotels has always excited and fascinated him. Whether it is the different architectural designs of the buildings, the first impression when you walk into the lobby or the décor of the rooms, all these things excite and delight his inner self.